We’ve gone bug crazy here! We've been spending so much time outside gardening, & exploring our neighbourhood that we've spotted a number of bugs & insects which Minnie is showing a real interest in. 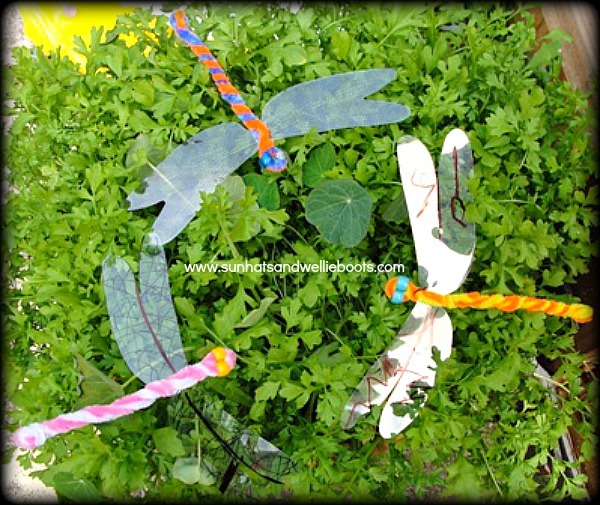 One of her favourites are dragonflies, so we thought we’d have a go at making our own to hover around the garden. 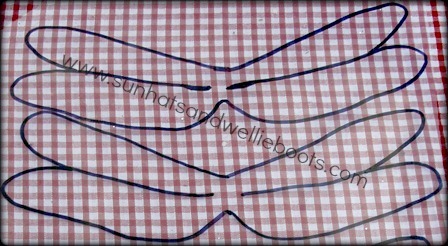 * To make the wings for your dragonfly, draw your chosen wing shape onto a sheet of acetate, or print off our template below to trace around. 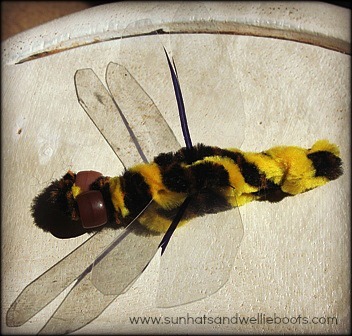 * Decorate your dragonfly wings with a fine permanent-marker pen, & then cut out. * To make the body, bend both pipe cleaners in half. 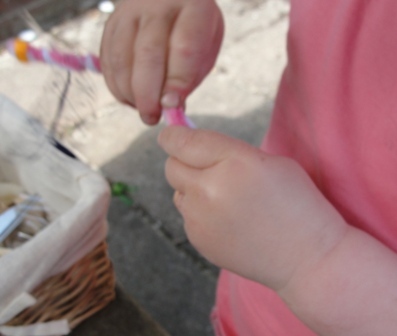 Hold the pipe cleaners together & slide a bead over both of them, one at each end. 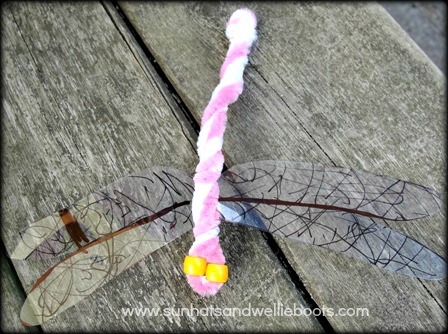 Twist the pipe cleaners just under the 2 beads, to create a head for the dragonfly. 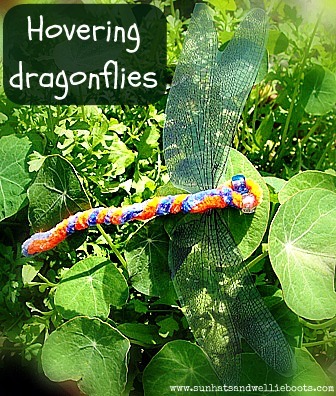 * Twist a couple of times & then slide your dragonfly wings between the pipe cleaners. 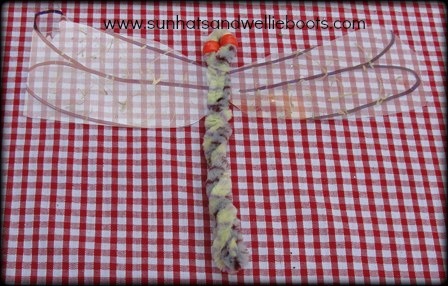 Carefully twist the pipe cleaners again under the acetate to hold the wings in place, & then continue to twist. 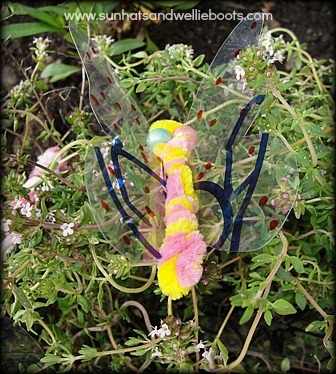 We also experimented with a gold marker pen, & coloured glass pens on the wings. 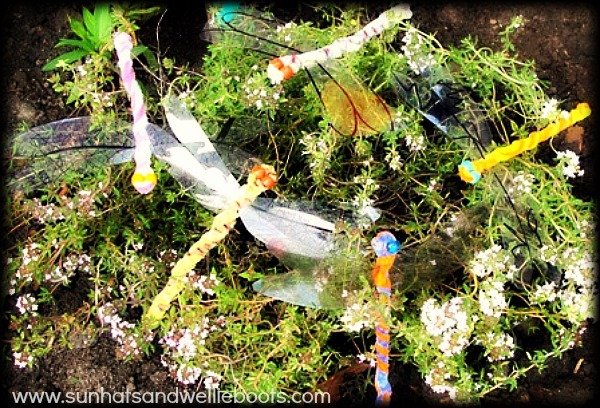 And following the same technique, we made butterflies & bees, using slightly shorter pipe cleaners & different sized wings. 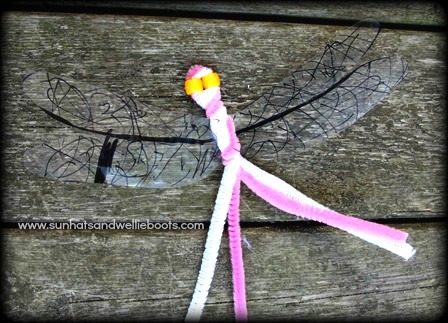 Minnie discovered that if you bend the pipe cleaner body of the dragonfly down slightly near the wings, the dragonflies will sit on a small object & look as if they're hovering. 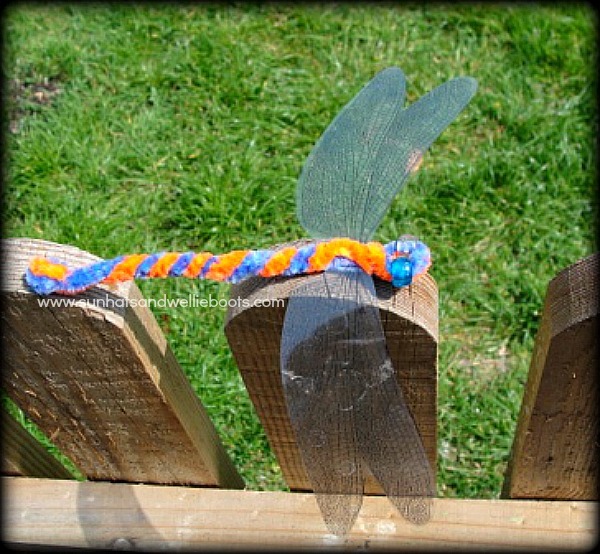 We also hung some around our garden by tying a length elastic just behind the wings. 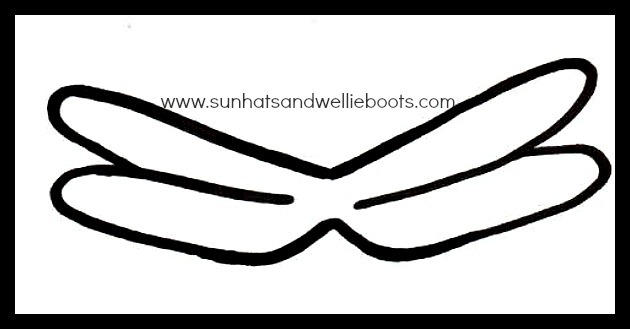 They look so effective, just like they're flying through the air! Great for encouraging an interest in nature & encouraging care for the wildlife in your neighborhood!